Blog Post July 3, 2015. Nobody's perfect. As a piano technician who has the responsibility of answering to clients who must know - to the penny - what and why their piano is worth what we say it is, for insurance and estate valuation purposes, for buying or selling a used instrument, or simply having the satisfaction of knowing a 'fair/good deal' was accomplished, the numbers always add up. Calculating, to the penny, a piano's fair market value and essentially, what a piano is worth to the owner and to the seller, I've discovered both on purpose (observing other appraisers' conclusions) and on accident (in doing research online) that bad and wrong piano appraisals exist. The erroneous piano appraisal was based, in part, on a lack of knowledge of the piano, its condition, the market, or the future potential market value of the instrument. 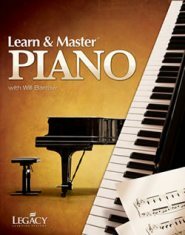 When a piano technician (you ARE using a piano technician, aren't you?...and one with experience, and not just a general "appraiser", who claims they know about pianos) issues a wrong piano appraisal, and especially (heaven forbid) bad piano appraisal advice, a piano owner usually finds out all too late. Which means one thing - people were wronged. One person received a better deal than the other; and conversely, no one received any deal since the piano was not adequately covered in cases of an 'under-insured' piano. Insurance policies taken out on a piano may not have covered the (1) full value of a restoration, and/or (2) the replacement of a similar, or (3) the same piano make/model. Thankfully, none of these real world examples have happened within our company. But don't let this real world knowledge alarm you. Recently, I ran into a forum post online of an "appraiser" who valued a Steinway-like piano in good to excellent condition in the 'few hundred dollars' range. 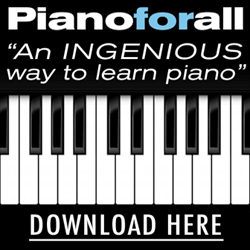 The brand is known to the piano world (technicians, rebuilders dealers, etc.) as one that's comparable to Steinway & Sons - in their own right, that is - whose pianos continue to be rebuilt and sell for a substantially higher amount, than pianos that are not a Steinway. 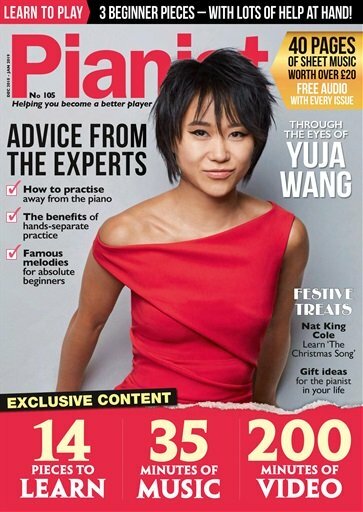 I decided to publish comments here on this page as a reference - both to you and to all other readers who have received, or are cautious/suspicious of receiving a bad/wrong piano appraisal. I hope you enjoy what we compiled, below. Before going further, the safest course of action (as a piano technician, I always recommend) 100% of the time, to have a trained piano technician on site to inspect the piano's condition. If this is not possible, or if cost is an issue, you can always contact us to perform a long distance piano appraisal, via our Appraisals Page. (1) Potential problems which lie beneath the surface, and (2) problems anticipated and unanticipated (foreseen vs. unforeseen) which may arise in the future surrounding your piano, should also be taken into consideration in calculating your piano's fair market value, and intrinsic worth. The chart at Piano World is a fairly good indicator of a piano's value, and can help you to avoid bad piano appraisal advice. Last but not least, a piano's worth must also take into account its history of care, use, maintenance, storage/placement, and rebuilt vs. non-rebuilt status. The two links below can be used as a reference in determining for yourself whether or not a Sohmer piano, in good to excellent condition, should sell for the same price as an instrument of an average brand / value. Background: A customer wants to know the value of a Sohmer & Co. Model #34 upright piano, in good to excellent condition, under 60 years old. Piano's finish is immaculate, with no scratches/dents, and has slightly ornate cabinetry. "Judging from the condition of the cabinet alone, the value of this piano, based on your numbers, could potentially begin at >$800, but certainly, would not fall into the category of a 'few hundred dollars'. Sohmer & Co. pianos, I've found, are the exception, not the rule, to generalized piano valuations. Sohmer was one of the many who built pianos a few city blocks away from the infamous Steinway & Sons, and who, sadly, didn't brand themselves as well as Steinway, and suffered as a result. Assigning a value of $200 or $500 as a starting point for such an instrument, would be an inaccurate and misleading statement, at best. During a field appraisal two weeks ago, one of our customers made a comment, after they found out their baby grand piano was worth far more than what they originally thought: 'A few hundred dollars', was their guess. "Low valuations devalue [a product] and the overall market value of [such a thing]," was his response/conclusion. Our customer works in real estate; he was referring to when a home is appraised for an amount lower than a comparable home, the rest of the neighborhood [e.g. similar homes' valuation] suffers. "They cheated me.. They took advantage of me.. They lied to me!" would be my response. And I would probably find out much too late, after the deal was done. 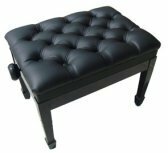 Make no mistake, a >$200-$500 valuation certainly has its place, among pianos of lesser quality/higher use/lesser known brand names, etc. but certainly and especially not Sohmer. They made an excellent name for themselves, built an excellent, hand crafted piano in their day, which will be worth far more than other lesser quality/known brands, as we move into the future. These instruments will become even more rare/scarce at that time." If you ever encounter a bad or wrong piano appraisal, Contact Us. 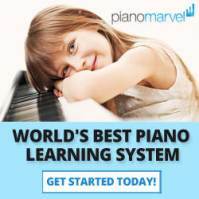 We'll be happy to help you to ascertain, for yourself, dollar for dollar, penny for penny, why your piano is worth, what it is worth, on today's market, and how you can become more clear and informed about your piano's intrinsic worth. While we cannot and do not give any legal or tax advice, if you have been issued a bad piano appraisal or have received bad piano advice from any source, we always recommend it is in your best interests to speak with a licensed attorney, or other qualified and ordained legal counsel in your area. They can help you to properly exercise your legal rights, and to pursue all remedies and avenues to right the wrong that has been committed.